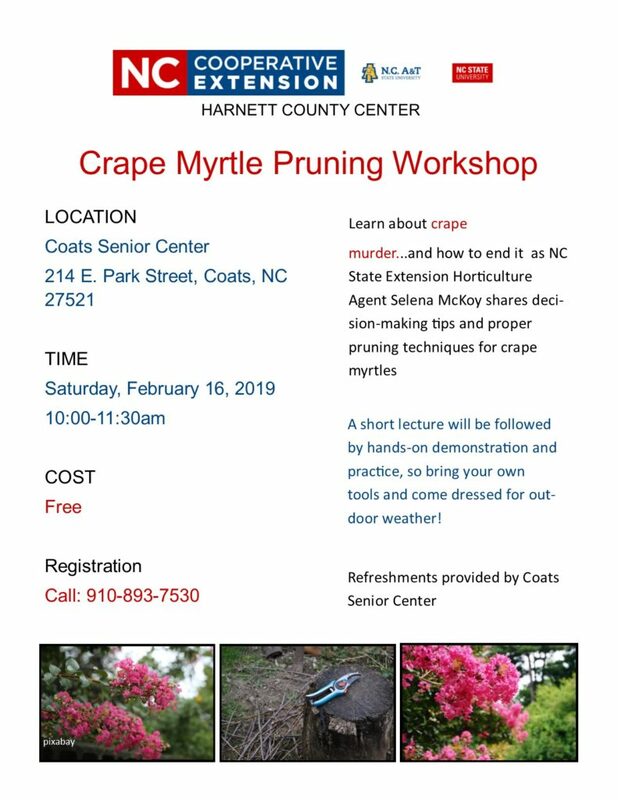 End “Crape Murder” – Check Out Our Upcoming Crape Myrtle Pruning Workshop! Learn about crape murder…and how to end it as NC State Extension Horticulture Agent Selena McKoy shares decision-making tips and proper pruning techniques for crape myrtles. A short lecture will be followed by hands-on demonstration and practice, so bring your own tools and come dressed for outdoor weather! Refreshments will be provided by Coats Senior Center. • What Is the White Powdery Substance on My Crape Myrtle?